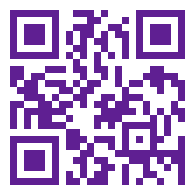 A QR code (Quick Response code), is a type of barcode that can be easily scanned with your smartphone. It will take you straight to a webpage, without the hassle of typing in long and complicated web addresses. Chris Adams offers QR codes for every Products. Fragrance is much more than just a perfume, today it is a part of our lifestyle and our daily grooming routine. Fragrances can conjure up stories and emotions, transport you to a magical world and capture memories of family and friends or special moments in time. It is a blend of various raw materials containing essential oils, alcohol, aroma compounds, solvent and aqua as well as other ingredients to improve skin condition. This is the extract of a fragrance and represents the scent in its purest form with a concentration of around 20 to 40%. Due to this high concentration this form lasts longer and requires less frequent application. Eau de Parfum or EDP is one of the most popular forms of fragrance. Eau de Parfum contains between 15 to 20% of essential oils and is the second most potent and longest lasting means of wearing a fine fragrance. Eau de Toilette or EDT is fast growing category and the most common means of wearing a fragrance. EDTs are not as highly concentrated in essential oils as an EDP or Perfume would be and contain 5 to 15 % of fragrance oils. This impacts the ability of the fragrance to last and around 80 % of the oils in an EDT fragrance will evaporate within three hours of application. A fragrance is composed of three notes and these are formulated to evaporate in layers. The composition of a perfume is called an accord where there are three sets of 'notes' that appear gradually on top of each other thus creating an olfactive harmony. Top notes or “ Note de tete” are the money shots. The first scents you smell, which wear away after around 10 minutes and leave behind the heart notes. A few hours later, the perfume’s essence or base notes, emerge. Therefore one should wear a scent around for a while to evaluate how its entire fragrance profile develops. The compounds that make up the top notes are usually sharp and volatile. The true personality of a scent appears just before the top notes die down and are usually rounded and soft. Floral scents are the typical middle notes. The ‘heart’ gives the perfume its main character together with the base notes. The middle notes can start to appear a few minutes after application and will last about 3-6 hours on the skin. These notes are comprised of compounds which are heavy and large molecules that evaporate slowly. They emerge last and add a rich and deep character to the fragrance. They are also used to give lasting power to the perfume. You'll probably detect the first base notes between a half of an hour to an hour, and they can last up to 24 hours on the skin. Fragrances are romantic and sensual. It certainly creates an allure when you are around somebody who smells good. For the world in general, a fragrance simply makes the wearer more attractive and pleasant to be around. Our sense of smell has such an evocative power. The reason why people wear fragrances is a complex concoction of psychological motivations including social and sexual attraction, seduction, romance, status definition, confidence building, enhancement of feelings of personal well being and self esteem. Picking up a fragrance for someone can sometimes be exhausting. Start by asking yourself what are the perfumes that the person already has. What are the olfactive preferences of the person? Do they usually prefer light floral, fruity, green, citrus or spicy and warm fragrances? Lighter skin and hair people tend to prefer lighter perfumes: floral/citrus, fruity/green, and darker skin and hair people tend to prefer more spicy and warm perfumes. Young people usually prefer light floral, fruity and citrus' perfumes. Each fragrance family has its own personality, but each person’s ideal fragrance is unique to themselves. Always keep the cap on your perfume bottle closely tight. Oxygen is a big enemy to perfume and will spoil its chemical composition. Sunlight exposure can have detrimental effects on the fragrance. Keep your perfume away from heat and direct sunlight. Your perfume should be kept in a cool dark place if you want it to retain its quality for a long time. If you like to keep your perfume on a counter, use it within a year. A strong masculine fragrance can leave a lasting impression. Stay young with a scent of citrus twists, and make a statement with classic cypress and masculine fougere. Find a fragrance that’s refreshing and utterly masculine fragrances, swathed in robes of glass and leather. Pick your fragrance from our extensive fragrance palette ranging from dramatic, oriental, sensual woods, empowering floral scents, delicious fruits, alluring musk, exotic resins and more….. Build a wardrobe of fragrances. Why have a single fragrance that reflects your personality when you can have a collection of perfumes reflecting your every whim and fancy. Enjoy a rich and varied assortment of perfumes. Lay them out on your dresser. Be beautiful.…..
Having a well-honed collection of perfumes is the way to go!! One signature fragrance versus a "wardrobe"
The idea to have one signature fragrance is archaic; people now prefer having a collection, depending on their mood, season or particular occasion. Also, to avoid "olfactive adaptation" phenomenon, where using one signature fragrance gets you desensitized to the perfume, it is always better to have a "WARDROBE." Why not have rich and varied assortments of perfumes for your dressing table, as well as to cater to multi-faceted aspects of your life and personality? PARTY TIME !!! When you are in a party mood or having a night out , you should choose a heavier perfume for long lasting effect and to stand out a bit, of course !!! Musk types of perfumes work well in this case. TIME FOR CELEBRATIONS !!! Wedding celebrations , festivals, ceremonies it is perfect occasion to wear your favorite florals. It is wise to choose romantic scents with a smell of sophistication. This you will find in floral types of perfumes. When you yourself are in a bit of a romantic occasion make use of oriental perfumes to enhance your sensuality. When its time to go on that special date or for an romantic evening dinner, orientals and woodsy perfume add an air of mystery and seduction. For seductive scents vanilla, basil, cinnamon draw as much attention as musks do. Choosing a fragrance suitable for particular event of occasion is important. Spring is a season of transition, it signifies the emergence of new life. These months are the blossoming months; reminders of new life; rejuvenation; and enriching natural beauty surrounding us. A light floral, citrus, marine fragrance will express the joys of this season. Your perfume will evaporate too quickly in hot weather. It is better to select fresh citrus, light floral scents and apply them often. Stay away from heavy and overpowering fragrances. Fresh floral and fruity fragrances are often more appropriate in the summer months. During autumn, life begins to settle and mellow down. This season is decked with the beauties of nature! It is transition between light summer scents and heavier winter scents. Scents, with spices of medium intensity, work best during the warmer seasons. During the cold season, perfume stays on longer because it evaporates more slowly. Winter is the best time for richer and heavier scents, which will develop more slowly and last longer. The best choice during this season is warm, intimate scents like musk and heavy oriental. Our ability to smell and our sensitivity to scents change over short-periods of time -- between morning, afternoon and evening; before and after a meal; as well as over longer periods with changes of season and temperature; hormonal changes; during pregnancy; according to our state of health; and as we grow older. Our sense of smell is directly linked to our emotional state, as well as to genetic patterns that define physical balance and health. Some research suggests that our smell sensitivity declines as we age, so we may tend to prefer stronger, more long lasting scents as we get older. Medical and physiological conditions affect our ability to smell or alter our perception of perfume. Women tend to switch fragrances due to factors including change of mood, special occasion, and change of season, a friend's recommendation, and popularity of the perfume or something seen in press or TV advertising. Human skin is a complex organ defined by thickness, moisture content, acidity (pH), oiliness and texture. All of these can change at different times and can affect the way a perfume emanates from the skin. In addition, each person has unique natural scent profile defined genetically. When you find that a perfume smelled great on a friend just doesn't work for you, it may be that your basic skin chemistry is changing the scent, or rather that the perfume does not compliment your own natural scent profile. Recent research indicates that each person's natural body scent profile ( and perhaps pheromone profile) is a unique and is defined genetically. Fragrances also interact differently with dry or oily skin. Oily skin, on the other hand, hold on to the top notes longer, and can retain softer scents over time.